G7: the most honest summit – ever! The more pretence there is agreement between countries when there is not, the more it undermines the credibility of other commitments leaders make at summits. 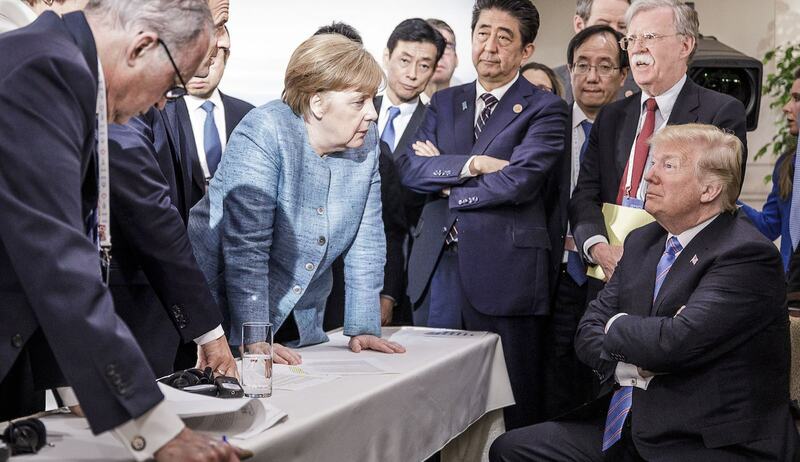 US President Donald Trump’s performance last week at the G7 summit at La Malbaie, Canada, may have thrown the G7 into disarray and left US–Canada relations in tatters, but he may have done the world of international summitry a service when he withdrew US endorsement of the summit communiqué – even if his motivation for doing so was a fit of pique in response to comments from the Canadian Prime Minister, Justin Trudeau. It is to be hoped that Trump’s performance may encourage greater transparency in future summits on the actual state of negotiations between countries, avoiding the pretence that a consensus has been achieved. It was always going to be an acrimonious summit. In the weeks leading up to G7 leaders gathering in Quebec, Trump slapped tariffs on steel and aluminium imports from Canada, the European Union, and Mexico. Adding to the atmosphere of ill will against the US, before the summit Trump said he saw no point in attending; then he arrived late and threatened to cut off trade with countries that treated the US unfairly; he called for Russia to be readmitted (a particular red rag to the UK); and disrupted the G7 meeting on gender equity. Trump capped off his appearance by leaving early and missing the session on climate change. It was clearly an eventful summit, described by one commentator as a “dizzying two days of controversies”. A French official said Trump delivered a “rant” full of recriminations against US trade partners. The photo that captured the spirit of the meeting was released by the German Chancellor, Angela Merkel. In the photo, she has two hands on a table and is standing over a sitting Trump with his arms defensively crossed in front of him. Standing beside Merkel is British Prime Minister Theresa May, French President Emmanuel Macron, and Japanese Prime Minister Shinzo Abe. A picture truly is worth a thousand words. Notwithstanding the clearly acrimonious meeting, its chair, Justin Trudeau, did what the chairs of all past summits have done and held a press conference declaring the Quebec summit a success. Trudeau released a summit communiqué saying that it had been “signed off” by all G7 leaders. However, having left the summit early, Trump would not have focused on such a mundane thing as the wording of the communiqué’s 28 paragraphs. It would have been negotiated by officials and formally submitted to leaders at the very end of the summit for their endorsement. In negotiations over the communiqué, US officials would have been seeking language that did not contain any criticism of the US. Canada would have been desperate for compromise language that all members could endorse. The outcome from La Malbaie was a bland, lengthy, and typical summit document that papered over all disagreements on trade with innocuous language. While the US may be raising tariffs and other countries taking retaliatory action, we are meant to be comforted by the leaders saying, once again, that they “underline the crucial role of a rules-based international trading system and continue to fight protectionism”. While trade references in the communiqué were bland, Trudeau was more honest in his press conference following the summit, when he described the US tariffs as “insulting” and that he had a “lot of trouble getting around” that Canada had abruptly become a “national security threat to the United States”. Trudeau’s foreign minister said that Canada would be imposing tariffs on US goods that would be “dollar-for-dollar retaliation … this is going to hurt America and the American consumer first and foremost”. As we know, however, no one threatens Donald Trump. After leaving the G7 summit early and heading for Singapore for his meeting with Kim Jong-un, Trump “lashed out” with tweets calling Trudeau “dishonest and weak”, and pulled back US endorsement of the G7 communiqué because of Trudeau’s “false statements”. Reacting to Trump’s tweets, Trudeau’s office said, “The Prime Minister said nothing he hasn’t said before – both in public and in private conversations with the President”. This comment sums up the fundamental flaw at the G7 summit – countries were not prepared to include words in the official communiqué that signalled the actual state of the discussions over trade that took place. 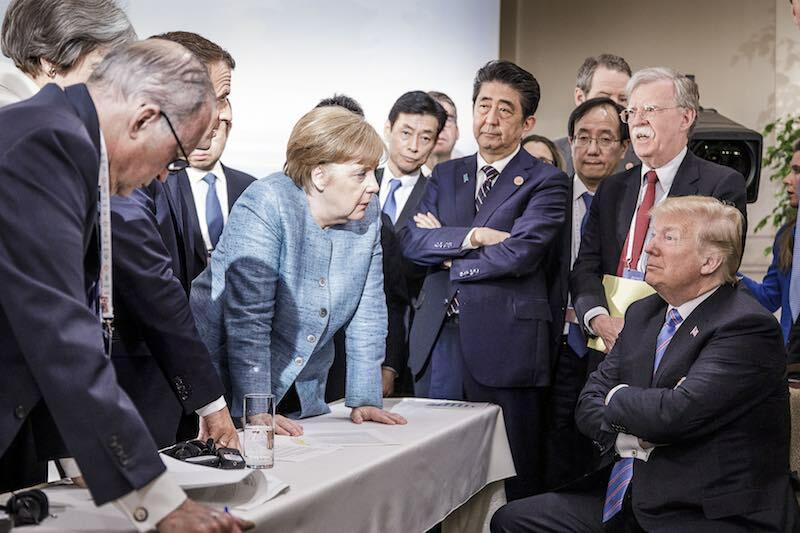 Against the background of Trump’s outrageous actions and comments, other G7 countries, in particular Canada as the chair, scrambled to paper over major schisms and try and present some semblance of consensus. The more summit organisers attempt to pretend there is agreement between countries when there is not, the more it undermines the credibility of other commitments leaders make at their summits. Perhaps the silver lining in Trump’s performance at this year’s G7 summit is that it might encourage the chairs of future summits to be more transparent in reporting on the state of discussions. Just as the Quebec communiqué acknowledged that the US did not support the 2015 Paris Agreement on climate change while other G7 members did, the fact that there remained a major issue with the US on the imposition of tariffs should have been acknowledged up front in the communiqué. Rather than releasing a statement containing platitudes about the importance of trade and resisting protectionism, it would have been more meaningful if leaders agreed on and announced a process to seek to resolve their differences. And who knows, maybe in future leaders will actually read the summit statements that they endorse. The small town of Loxton in South Australia has seen bravery and betrayal, a microcosm of a globalised Islamist threat. Is Beijing making living with debt easier for poor nations, or easier to default on?